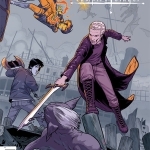 Power shifts and blame is passed around in this month’s issue of the Buffy comic. The magic state of the world has far-reaching implications that the Slayer didn’t think about and I fall more in love with Xander’s take-charge attitude. I’m hoping it all turns out for the best for everyone involved in this tricky situation. 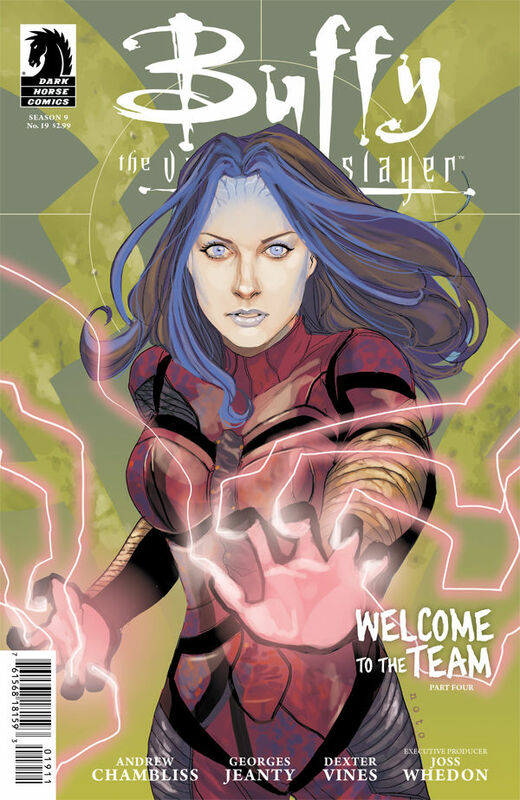 When last we left the dynamic trio, Illyria had managed to rescue Buffy and Koh from the Siphon. However, it was at the expense of her own power. Now she’s no longer super-charged or blue, but instead a leather-bound rendition of what Fred used to look like. 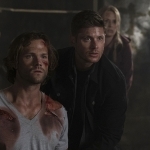 The Council’s going to be no help regaining her powers, as they have turned their backs on them and decided to regroup without the trio’s help. Looks like Buffy, Illyria, and Koh are on their own to defeat the Siphon. But there are more pressing matters for Buffy at the moment. While she wants to go head-on into a fight, there’s an emergency closer to home. Andrew’s attempts at transferring Dawn’s mind into the BuffyBot, with plans to later build a DawnBot, have failed. Dawn is still dying, Xander’s losing the woman he loves, and Buffy may have to say goodbye to her sister. The reason for Dawn’s failing health is connected to what I speculated on earlier — the fact that she was the Key. Dawn was a magical being that was created to house living energy, put forth under Buffy’s protection. Without magic in the world, she is slowly fading away as well. Xander, rightly so, lashes out at Buffy because it was her fault this was happening in the first place. She tends to off-set the blame of her actions, a fact that I have long been irritated by, and Xander finally calls her on it. He doesn’t need her help or her interference because it seems like everything Buffy touches causes death or destruction. He cannot lose Dawn and he will do anything to prevent that from happening. Meanwhile, we got more insight into the case as well, through Billy. 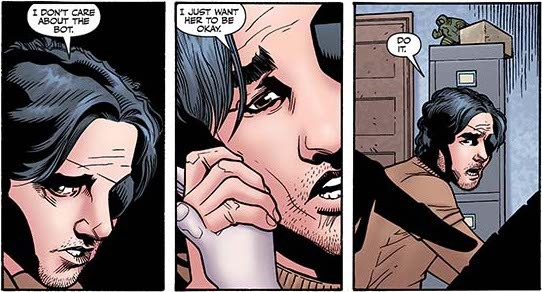 We find out that Buffy’s roommate has been covering for her the whole time, protecting her in a way, and she’s going to have to continue to do so if they have any hope of defeating Severin. The zompire that attacked Buffy was Tessa Freer, a former Slayer who became a follower of Simone. It was this choice that got her turned, as Simone has been experimenting on how to become the one vampire Buffy can never defeat. Added to that, Severin now wants to team up with Simone. Together, they could be unstoppable, especially if Buffy’s got her mind on other things. Lots of problems for the Slayer and her team. Maybe there will be some steps toward resolution next month.